Bringing a peace that ever stays; Wonderful, boundless peace. Flowing like rivers through my soul, Under divine control. There is a blessing for each day; Wonderful boundless peace. 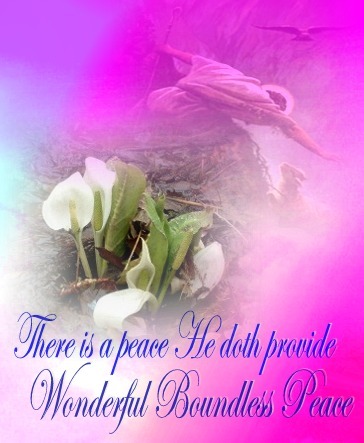 There is a peace He doth provide; Wonderful, boundless peace.